The language school EC English was founded in Montreal, Canada in 2011. The world’s largest bilingual city, Montreal, is rich in European charm with a unique English and French cultural mix. The school is in an airy, modern building located in the heart of the city, where students can choose to study English, French, or both. Best arrival airport is Pierre Elliott Trudeau International Airport (YUL). In 2019 (including national and regional bank holidays): 01.Jan.2019, 19.Apr.2019, 20.May.2019, 24.Jun.2019, 01.Jul.2019, 02.Sep.2019, 14.Oct.2019, 11.Nov.2019, 25.Dec.2019, 26.Dec.2019. 20 lessons learning one language and 4 lessons learning the other. Choose either English or French as your primary focus. You will be tested in both languages to ensure you are in the right classes for both languages. Please specify your primary focus language in the registration form comment box. Course times include two electives per week from 13:30 to 15:00 and two electives per week from 13:30 to 15:45. 20 lessons on one language and 10 lessons on the other. Price includes: supervised activity programme (5 half-day + 2 evening + 1 full day activity), travel pass for activities, packed lunch on weekdays. Minimum course duration: 24 weeks. 2019: 07.Jan.2019, 04.Mar.2019, 29.Apr.2019, 01.Jul.2019, 07.Oct.2019. Airport transfer from Vancouver International Airport (one way): CAD 120. Minimum course duration: 10 Weeks. 20 hours of General English lessons + 10 Exam Preparation lessons. Note: All courses offered by EC English, Montreal can be reserved online with LanguageCourse.Net. In case a course is not listed above, just mention the course description in the comment field of the online registration form. Comments about courses:High Season Supplement not applicable to bookings longer than 12 weeks. - Farmstay (2-4 weeks), placement fee: CAD 900. - Student insurance (optional) up to 65 years of age: CAD 25 (per week). - 66-69 years an insurance supplement of CAD 21 (per week). - Bank transfer fee: CAD 31. - Unaccompanied minor fee: CAD 85 (one way). - Canadian custodianship fee: CAD 155 (if requested). Towels, Bedding/linen, Weekly cleaning, Access to laundry service, Kitchen, Access to Wifi in building (Free WIFI), Heating, Breakfast & 1 meal, Private bathroom. Modern apartment-style residence located in the heart of the downtown. Facilities include: fitness centre and weight room, theatre room, games room, sound-proof music room. Weekly in-house activities organised by the residence. Students are responsible for their own cleaning and taking out garbage and recycling. Stays are from Saturday to Saturday or Sunday to Sunday. Towels, Bedding/linen, Access to laundry service, Kitchen, Access to Wifi in building (Free WIFI), Heating, No meals, Shared bathroom. Arrivals and departures outside of specified times are possible, but must be requested well in advance. - Stay in single room homestay. - provide a parental consent form. - custodial letter may be required. 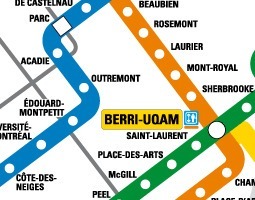 Closest station: You can take the bus and/or subway (called Métro) to Guy Concordia Station on Green line. The school is located 1 minute away. No surprises! Course material not included. 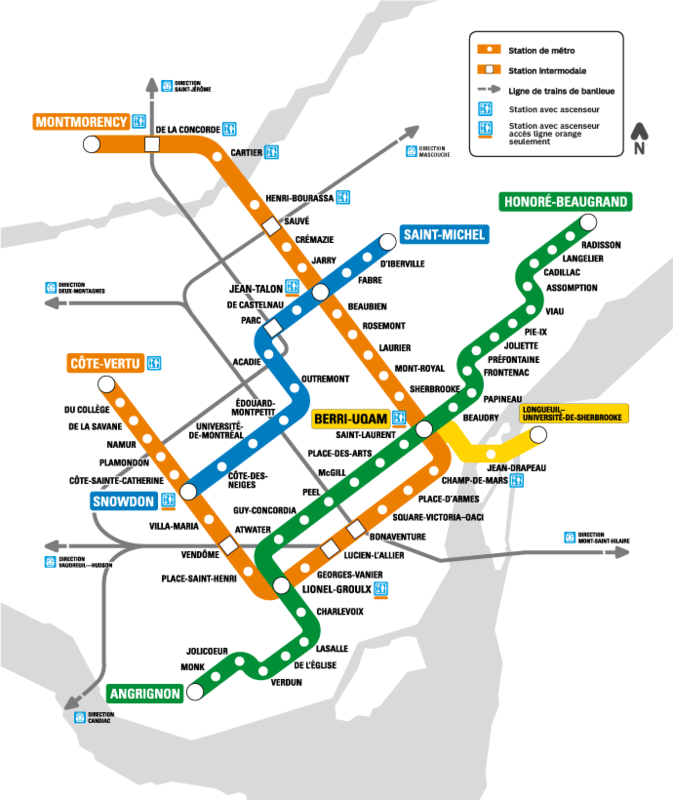 Do you know someone in particular with whom you would love to explore life in Montreal? Just tag them in your post to Facebook or send them a link to this page in a message or email.